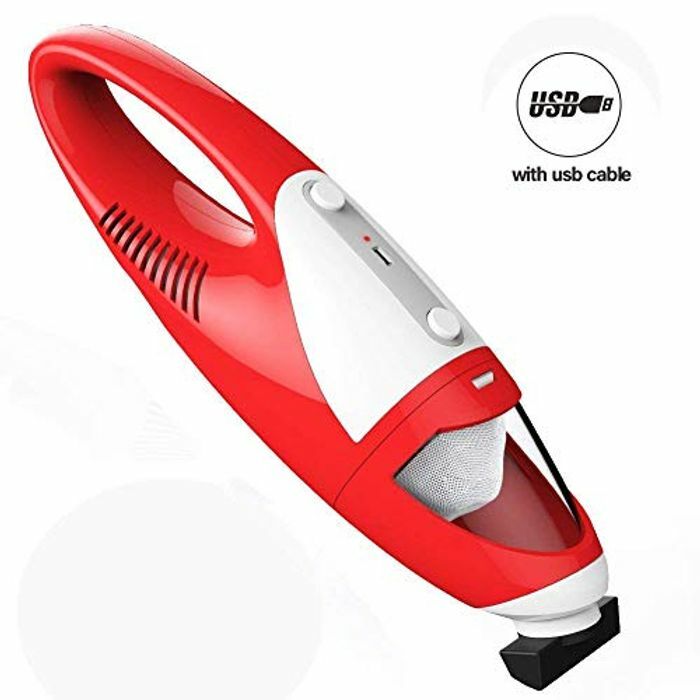 LIGHT WEIGHT&CONVENIENT: It is smaller than most of the handheld vacuums,'Grab and go' convenience, low noise, strong suctions able to pickup small light thing like dry dust, pet hair, wool fabric, sand, debris, dust, dirt, cigarette ash and more on car, table, chair, cabinet, bed, those tight spots etc. SAVE STORE SPACE: A very small car and home cordless vacuum cleaner. So compact and easy to store without taking up too much room. You can clean everywhere you want with any tangled power cord. EASY TO CLEAN: Translucent dust bin and Washable filter is easy for you to see when its time to empty out. You can easily pull it off and wash it for secondary use. SMART APPEARANCE: Mini cordless vacuum designed with a smooth-line, light and fashion appearance , little space occupied ,easy to carry and storage . I'm going to take a chance on this one - good price and the reviews look pretty good. Thanks for sharing. bindi18 Thanks for the heads up - too late because I've ordered if for car cleaning but at least I can return it if it disappoints.